This is the 500th anniversary of the birth of St. Teresa of Avila. 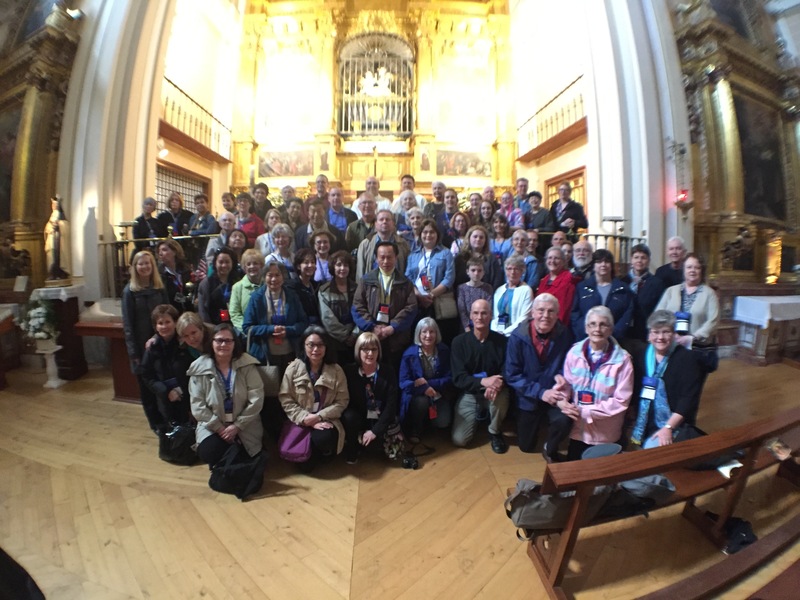 We are now visiting all the sites in Spain related to her life and Carmelite spirituality. What a great day we had driving from Fatima in Portugal to Avila in Spain. We had Mass along the way at Alba de Tormes, at the Carmelite Convent of the Annunciation – at the tomb of St. Teresa of Avila. We later prayed close to her bodily remains and were able to see up close the relics of her arm and heart. We Catholics are a morbid bunch :-) But, sports figures are inshrined in the sports Halls of Fames. And these heroes of our faith are inshrined in our Halls of Fame in the churchs around the world.